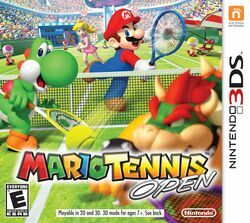 Mario Tennis Open is a Tennis game for the Nintendo 3DS. Developed by Camelot Software Planning, this game was released in May 2012 as the sixth installment in the Mario Tennis series. This page was last edited on 27 September 2015, at 22:13.